Access should be simple – for students, staff, corporate guest or contractor, or BYOD. 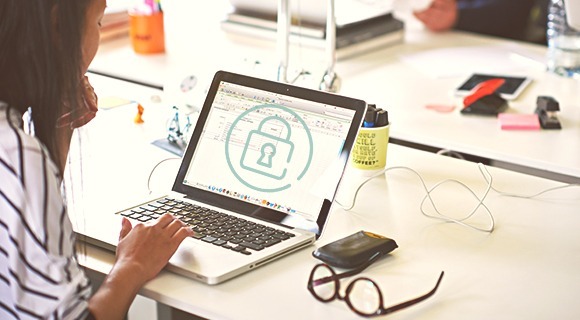 ClearPass Guest, OnBoard and OnGuard gives you the tools you need and the flexibility to secure your business Wi-Fi and wired networks. ClearPass Onboard for automated BYOD provisioning. IT can easily create and deploy BYOD workflows so that authorized employees and contractors can use their devices on secure networks. Built-in certificate authority provides secure logins on Windows, MacOS X, iOS, Ubuntu, Chromebook and Android devices. 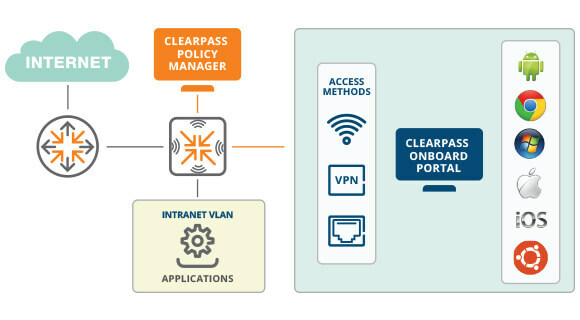 ClearPass OnGuard for automated device compliance. There’s a fast and efficient way to check the health and posture of laptops and Chromebooks connecting to secure networks. Advanced endpoint posture assessments can automatically remediate or quarantine endpoints that violate corporate security and compliance policies. ClearPass Guest for a customized visitor experience. 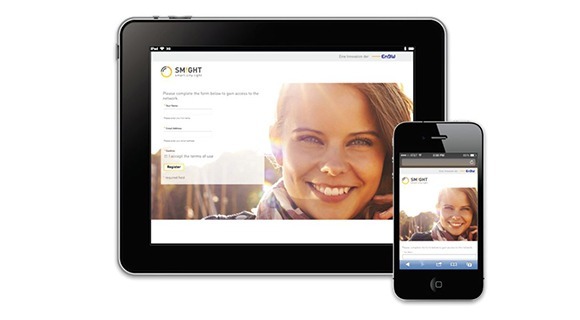 It’s easy to implement secure guest access and create a customized web portal using your own brand. Leverage unique features such as sponsor approval, credential delivery or usage policies via email or text. Make sure you secure those Ethernet ports behind IP desk phones and in conference rooms that are not using secure 802.1X. Automate 802.1X device configuration for wired and wireless networks – without having to create unique device certificates.